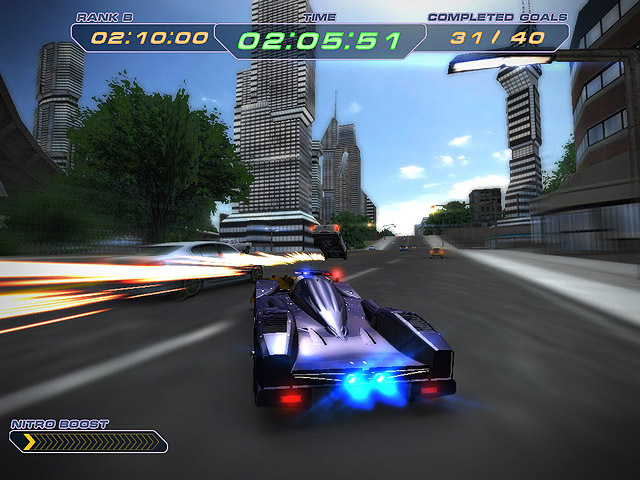 Super Police Racing 1.15 Free Download - 3D racing game. Special Supercar Police Unit was organized to prevent chaos. 3D racing game. Special Supercar Police Unit was organized to prevent chaos. 3D racing game. Sun City is the city of future with the best ecology and high tech infrastructure. But the rise of crime rate makes this place dangerous for living. Extremists block roads, car criminals crash the traffic, hackers override automatic city traffic control. Special Supercar Police Unit was organized to blow the whistle on these practices. 3d monster truck game. get the best out of those monsters!. 3d action game, vehicular combat..
3D racing game. Special Supercar Police Unit was organized to prevent chaos..
3d scroll shooter with classic gameplay..
3d trial bike game. finish all the trials in the jungle!. 3d racing game. you need to use nitro to win this crazy racing..
3d racing game. drive several gt class cars and formula bolides..
3d drag racing game. complete all races one by one in this high-speed drag racin. 3d racing game with top-down view..
3d bike game. welcome to new super motocross challenge!. logic game, explosive mix of match-3 and *tris-like games..